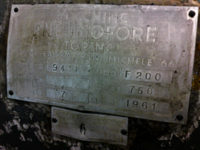 November 2011, the rotary compressor n. 9411 returned to Pneumofore after 50 years of operation. His present working site is at Pontfor, one of the large metal forge plants in the Canavese area, near Turin and the HQ of our Company. In a fast evolving IT oriented world, heavy metal industry keeps its prestigious position at the bottom of any mechanical manufacturing. F200 CleaningWith nominal 250 kW (adsorbed 220 kW) for 2.080 m3/h capacity of 7 bar compressed air, this water cooled, rotary vane compressor worked about 300.000 hours. The unit has been cleaned, getting ready to work some decade more. No way our customer considers replacing it with a modern machine, being the criteria of reliability and durability of his pneumatic system first on his priority list. In fact, compressed air drives all the heavy hammers in his forge. 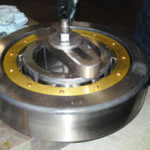 On the right the tolerance check on the bearing with 340 mm diameter. A good organization, worldwide manufacturers and suppliers, an adequate Hotel structure for the interesting Congress Program where key for the success of the 2011 Asia CanTech edition in Ho Chi Minh City, Vietnam, from 17 to 19 October. Pneumofore was represented with table top and our CEO made the presentation titled ‘Cost Efficient Vacuum’ with clear explanations regarding the immense advantages of centralized vacuum and air cooled, Pneumofore rotary vane vacuum pumps, compared to other technologies, especially in terms of Total Investment and Running Costs. Several installations of UV pumps in Asia reinforce our position, as they all correspond to full-customer-satisfaction references. The response has been more than positive, as most participants have technical education, being the can production an exquisite mechanical engineering domain, with deep, long-term understanding and view. Aluminium cans are the preferred container solution for soft drinks due to the easy storage, full protection from light, total recycling process and commodity for the users. 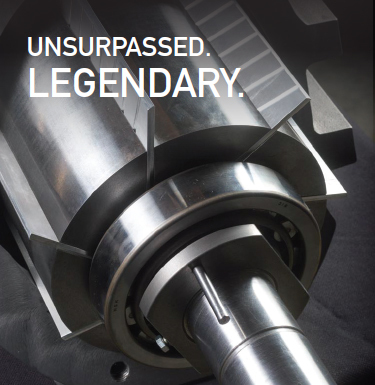 The high manufacturing speed, the many single steps of shaping, painting, control and more rely on latest technologies. Pneumofore UV pumps fit this application thanks to large centralized vacuum system requirements. The continuous operation with rare stops for maintenance make this one of the key industries for big UV pumps installations. Although popular in Europe, the air cooled UV pumps are not yet installed frequently in Asian can factories. That’s why Pneumofore participates to the Asia CanTech technical conference, from 17 to 19 October in Ho Chi Minh City, Vietnam. The evident advantages of rotary vane pumps are the increased vacuum level, the reduced electrical power, the complete air cooling and ready-to-use feature when compared to liquid ring pumps which require cooling water piping, cooling water treatment and cooling water tower. When replacing liquid ring pumps with the Pneumofore UV pumps, the power savings are so important that the Return of Investment results in 12 months, depending on the specific case. India’s Hindustan National Glass & Industries (HNG) has confirmed Pneumofore as a key supplier for its latest glass container projects in Naidu Peta and Nashik. Specializing in rotary vane vacuum pumps and centralized vacuum systems, Pneumofore SpA first supplied HNG in 2008 with a vacuum system for the glassmaker’s Bahadurgarh factory in Haryana. The Naidu Peta greenfield facility will be supplied with six large air-cooled rotary vane pumps. The system will be controlled by variable frequency drives that distribute the working load equally between the pumps and match the flow with the needs generated by different production requirements. The installation will also be monitored remotely from the control room by means of an Ethernet network. 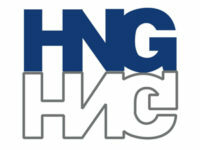 This set-up will allow HNG to have total control over performance of the vacuum system and to reduce energy consumption when maximum performance is not required. The second project is an expansion of the Nashik plant, achieved via construction of a second furnace with a capacity of approximately 650 tonnes/day. This furnace will supply glass to six latest generation IS lines that make extensive use of vacuum during the forming process. This vacuum system, similar to the Naidu Peta project, will achieve optimal performance with the lowest energy consumption and life cycle cost, core features of the Pneumofore technology. 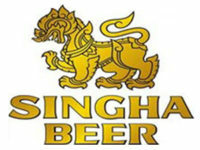 Singha Beer sure is very popular in Thailand, as well is Leo and both belong to the same group of industries, which include also Bangkok Glass and its successful BGFC Football Club. There is a connection among these organizations: the bottles are produced, the beer is filled-in and we can comfortably enjoy the soccer games of the Bangkok Glass football club with a tasty cold beer, you choose if Singha or Leo. This entire set-up of industries, technologies and sport is growing. The Pneumofore contact are the hollow glass production plants, which we are proud to supply with vacuum pumps as done in the past, also for the new project named Ayutthaya Glass Industry. This modern factory will boost the entire system, as one improvement affects all the other involved parties, above described, within the Bangkok Glass group of industries. 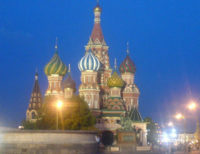 MoscowMir Stekla – World of Glass, the largest event for the glass industry in Russia, the CIS and Eastern Europe, held on 6 – 9 June 2011 at the Expocentre Fairgrounds in Moscow, was successfully completed. The scale and dynamic of its development showed that the Mir Stekla project continues to draw attention. The visitors were able to view the latest glass products for diverse application fields and various consumer tastes. Pneumofore is a long-standing participant in this important appointment. This year, even though the visitors were less than last year, their quality improved. Our company highlighted the upheaval of the economy due to the increase of inquiries and projects. Moreover, we can boast close cooperation with the majority of our customers for the supply of equipment or for any question they may have. It has been a pleasure to take part to the well known event of Glassman Europe held in May 2011 in Barcelona. Pneumofore was the only presence as far as vacuum pumps producers are concerned and was standing together with all the other big names working in the glass industry. Glassman Barcelona saw a good amount of visitors, also from distant countries, like Turkey, Mexico, Venezuela and Saudi Arabia and showed a better feeling if compared to Glassman Europe 2009 held in Lyon. Attendants visited the Pneumofore stand both for new projects and to express positive feedback especially for the recent vacuum installations in Spain and Turkey. For the first time, Pneumofore attended Metpack, the most important international exhibition dedicated to the metal packaging industry. Held in Essen, Germany, from 10th to 14th May, the tradeshow welcomed more than 7.000 visitors from over 100 countries and proved to be a central meeting place for worldwide professionals and a platform to discover new manufacturing technologies in the metal packaging sector. The geography of trade visitors was vast, however, as showed also by the portfolio of Pneumofore, mainly come from North and Central America and South and East Asia. Most of them attended the event to hold negotiations on current and future projects and to express interest for technical innovations and developments. Pneumofore does not represent a big name in the metal packaging industry but it is a primary utilities supplier for transnational companies as Saint-Gobain, Can-Pack and Crown Cork. Metpack allowed us to establish new contacts with manufacturers of packaging machines as well as to get acquainted with new aluminum can producers. According to this year’s results, Pneumofore will evaluate the participation in Interpack, held in concomitance with Metpack. With a more general approach, Interpack covers many types of packaging where Pneumofore has an doubtless strong presence. It has been a pleasure for the Pneumofore team to experience again the Hannover Messe as the most attractive industrial fair, with its enormous dimension and most of all, with lots of visitors, as it used to be. The last edition of 2009 had left us with an almost depressive feeling, since the ComVac hall was hardly occupied or visited. Now in 2011 it is encouraging to see how the economy of various industrial sectors is picking up again, there is a grown interest for new technological solutions, quite a run to save energy and to pollute less. The scenario of air compressors OEM is in continuous evolution, with a shrinking number of players and almost a confusion of brand-names. Fortunately, the vacuum market is less contaminated by new-comers with cheap copies, probably due to the complexity and fragility of the extremely wide range of vacuum applications. Pneumofore keeps on being technology leader in air-cooled, rotary vane vacuum pumps with the worlds largest UV50, while competing old-fashioned, water-cooled vane pumps of large, industrial capacity were not on display, as they are not sustainable with the latest environmental and efficiency criteria. Innovation is evolution. 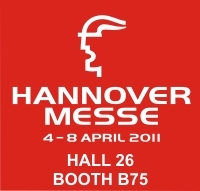 With the worldwide compressor market having hundreds of screw compressor companies, Pneumofore appears almost as a rarity at the renominated Hannover fair, scheduled from 4 to 8 April. The rotary vane technology, however, remains a strong, stable and durable technical solution for compression and evacuation. Active sealing, several decades of operation, simplicity of design for lowest compression temperatures, these and more features result in the lowest Ownership Cost, in other words, result in the lowest Environmental Impact. Increased ambient awareness and higher understanding of long term impact on nature, help to choose smart, with a precise consideration of efficiency and reliability, in order to avoid waste of material, of energy and of money. Pneumofore started in 1923 with the idea to evolve the air compressors technology and still shows up with innovative solutions. The UV16 exhibited on the our booth B75 in the ComVac Hall 26, will be in operation, since our rational mind prefers facts rather than words. Come and visit us, we will be pleased to explain further ! After more than 30 years of exploration, the important project regarding the ‘Greater Gorgon’ group of gas fields, about 200 km from the north-west coast of Western Australia, has finally started. The considerable length of gas pipelines of large diameter will require commissioning, part of which is the drying. 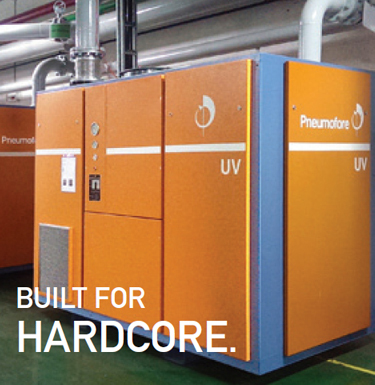 A fleet of Pneumofore vacuum systems is on the spot to take advantage of the tested and proven Vacuum Drying Technique. The double stage vacuum systems have been previously operated in the United Arab Emirates, later in India, with impressive results of short drying times. Here, where the gas is worth several hundred billions of AU $, time is particularly short to finally gain profit after huge investments. This is how Pneumofore equipment enters the game, because the easy handling, the small footprint, the efficient and durable operation of this vacuum system allow fast and simple drying operations. 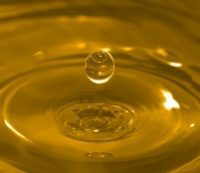 The coolant used in air compressors and vacuum pumps has multiple functions: lubrication, cooling and sealing. The thermodynamic process of compression generates relevant energy losses due to heat dissipation. Here at Pneumofore, the engineering team is constantly dedicated to improve the efficiency of rotary vane machines, the lubricant plays a major role. Vacuum pumps are exposed to higher contamination than the air compressors. Volatile, but also micro-solid particles can pollute the lubricant and reduce its duration. For harsh installations, especially UV H pumps for water vapor suction with 110° C operating temperature, a new lubricant has been developed. The PL 311 is formulated on a pure synthetic base, is chemically stable and inert, has superior resistance to temperature, does not contain heavy metals and is NSF classified in the H2 category. The results of the tests over thousands of hours have been vast and the PL 311 is available now for deliveries worldwide. Industrial, large size vacuum systems are popular in the hollow glass production with IS machines. Durability and high efficiency emerge as key parameter of choice when selecting investment goods. Pneumofore traditionally participates to all major fairs in the worldwide glass industry, with large success where ‘Ownership Cost’ and ‘Environmental Criteria’ are considered. With ‘Glasspex India’ from 12 to 14 January in Mumbai, the year already started with an important glass fair. During the first days of week 10, ‘Gulf Glass’ is scheduled in Abu Dhabi, where Pneumofore is represented by a distribution partner. Pneumofore will also appear at ‘Glassman Europe’ in Spain from 25 to 26 May, just two weeks before ‘Mir Stekla’ in Moscow, planned from 6 to 9 June. The American event will be ‘Glass Problems’ in Columbus, USA from 18 to 19 October. The year will close with the ‘Glasstech Asia’, which finds place in Jakarta from 23 to 25 November. In the beginning of 2011 two Pneumofore engineers travelled to India for the commissioning of six vacuum systems model UV16 H B2500B, delivered to Narmada Offshore Constructions, specialist in pigging and hydro-testing to serve the oil, gas and petrochemical industry. 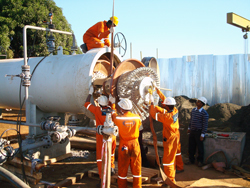 The pipeline is in Ujjain, near Indore and measures 48 inch [DN 1200] diameter for the length of 90 km [56 miles]. Four double stage vacuum systems with variable-speed-driven roots pumps as second stage (each 3000 m3/h [1770 cfm] capacity) and two standard double stage systems (each 2500 m3/h [1473 cfm] capacity) for the total maximal flow of 17000 m3/h [10020 cfm] were installed for the vacuum drying process. Some vacuum units were installed in 20 feet container, others simply placed on the unpaved ground. All vacuum pumps were protected with inlet filters and connected to the central manifold, as seen on the picture left. 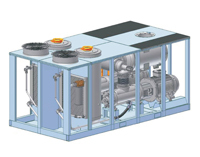 Narmada Offshore ConstructionsThe special features of the Pneumofore vacuum system are the capability to evacuate water vapor, to be ready-to-use, completely air cooled and with unique efficiency. This solution was chosen due to the large volume in the pipeline, which had to be evacuated down to 0,3 mbar(a) [29,905 in Hg (V)] for the Dew Point of -38° C [-36.4° F]. The drying with this dedicated vacuum system was economically far more convenient than the previous drying technique with nitrogen. 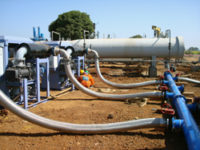 The pipeline drying follows the dewatering process, which is executed with ‘pigs’ pushed by compressed air at the speed of 2 km/h [1.25 mph], picture right. With a record of 5000 km [3100 miles] tested cross country and offshore pipelines, Narmada Offshore Constructions is a major Indian player, offering a wide range of pipeline services, including cleaning, hydro-testing, dewatering, drying and pre-commissioning. The idea to offer a larger vacuum pump, larger than the worlds largest, air cooled and single stage UV50, goes back to 2003. Initially, efforts were dedicated to design a new air-end with much higher capacity than our present record with 3240 m3/h [1908 cfm]. 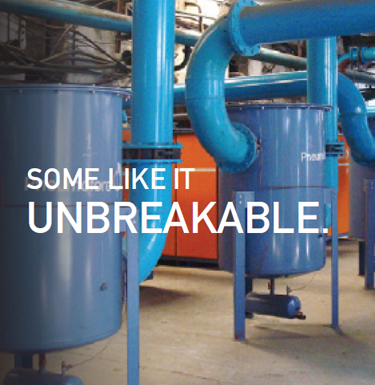 After years of testing and considerable obstacles, Pneumofore still does not give up the objective to manufacture larger rotary vane air-ends than the UV50. But the market response to the UV50 model and the growing demand for larger vacuum systems, motivates us to invest immediately in the UV90 project, which is a twin machine, with two air ends. The cooling circuits are planned to be separate, obviously air cooled. One central control and power panel will serve the operators to manage the max. 180 kW with two 90 kW motors. The flexible capacity of the UV90 goes from one air-end in operation at 25 Hz for 1800 m3/h [1060 cfm] to full load of both motors at 60 Hz for the total capacity of 6400 m3/h [3770 cfm]. This machine will permit to have one ready-to-use unit with lowest space and power supply requirements, with the traditional low Life Cycle Cost of Pneumofore equipment.